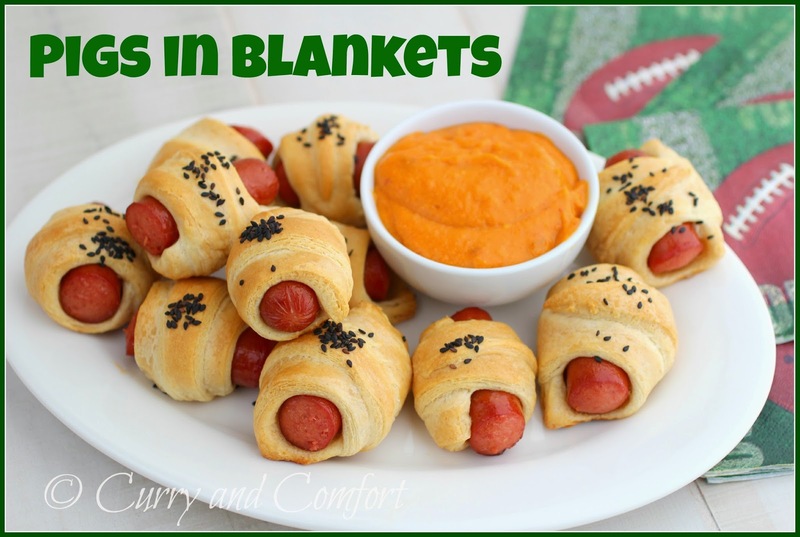 The football is known as the "pig skin".... so pigs in blankets have got to make a play at my Super Bowl table. 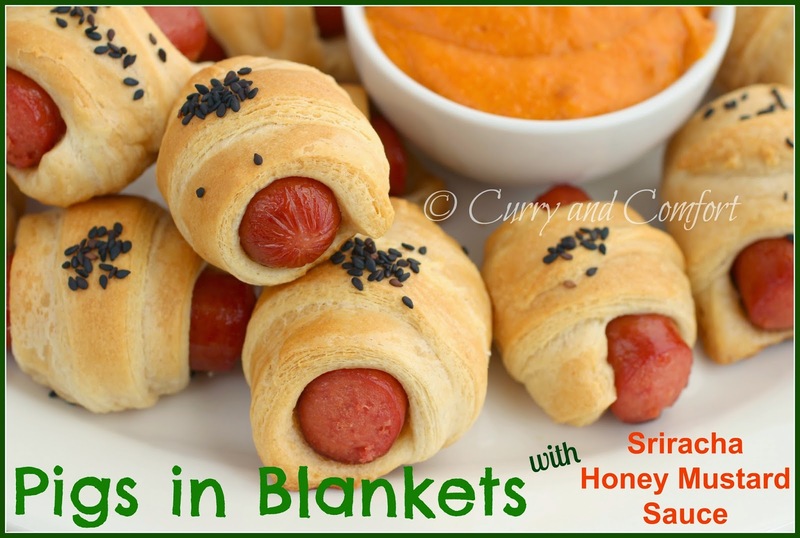 These pigs in blankets are easily made at home using store-bought crescent dough (the stuff in a tube) and hot dogs. I also made a sweet and spicy mustard dipping sauce to make it extra yummy. They are easy and definitely a touch down for my family. Note: Always use the lower amounts suggest in the recipe. Then adjust with more sauces or ingredients as needed to your taste. Note3 : You can go old school and serve with simple yellow mustard. 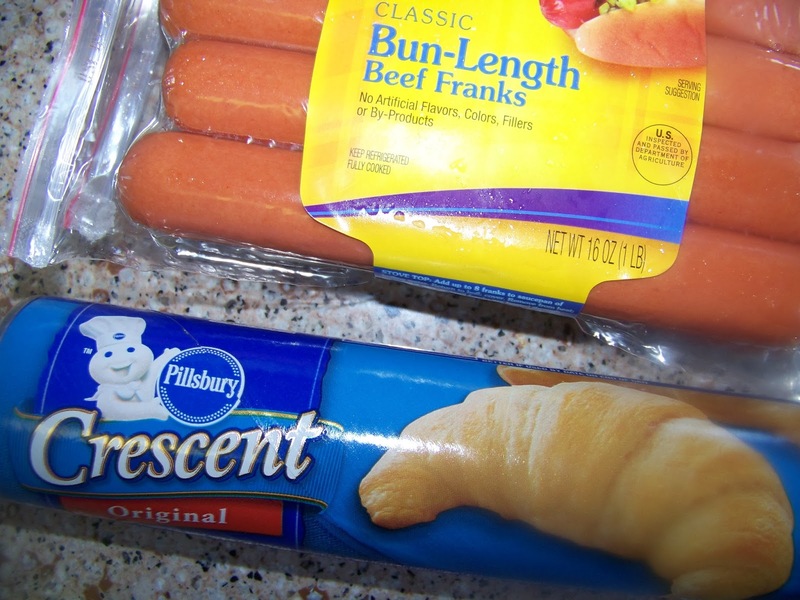 Separate the crescent rolls per package instructions. 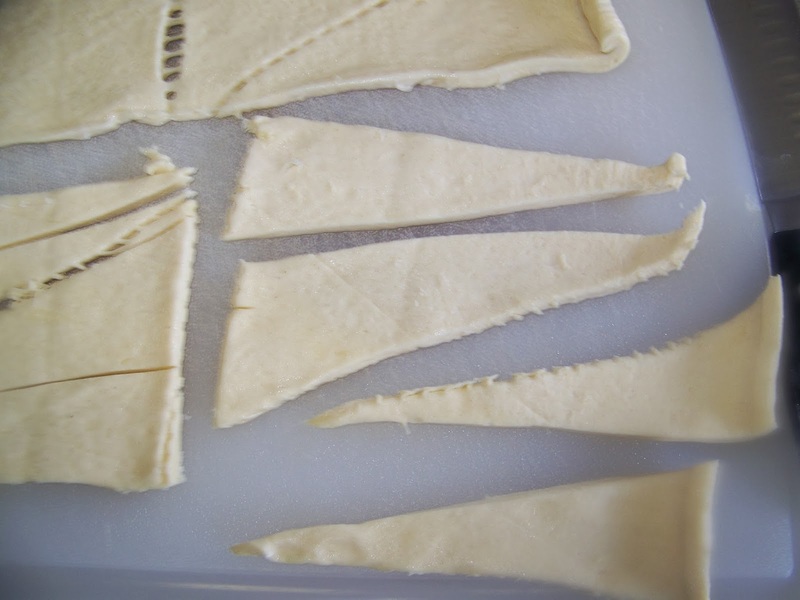 Then cut each crescent triangle into half. 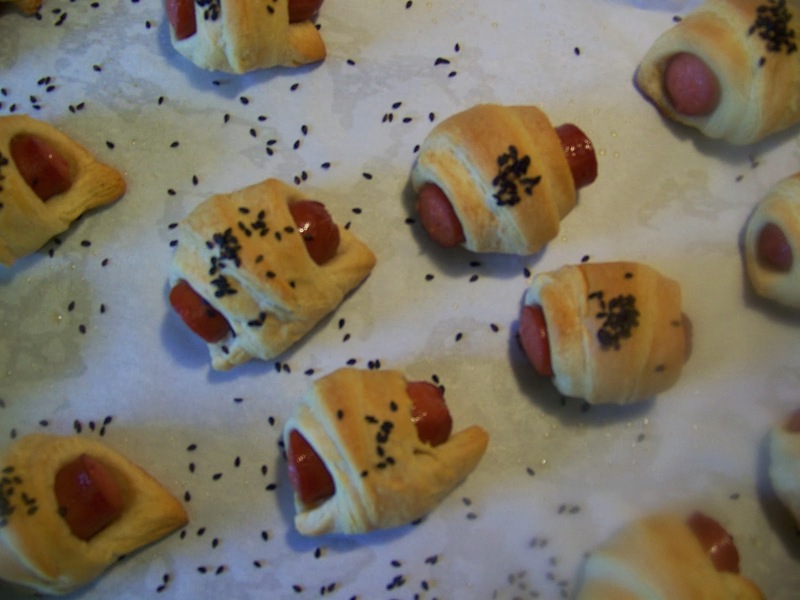 Cut hot dogs in half for regular length hot dogs and into three for bun length hot dogs. 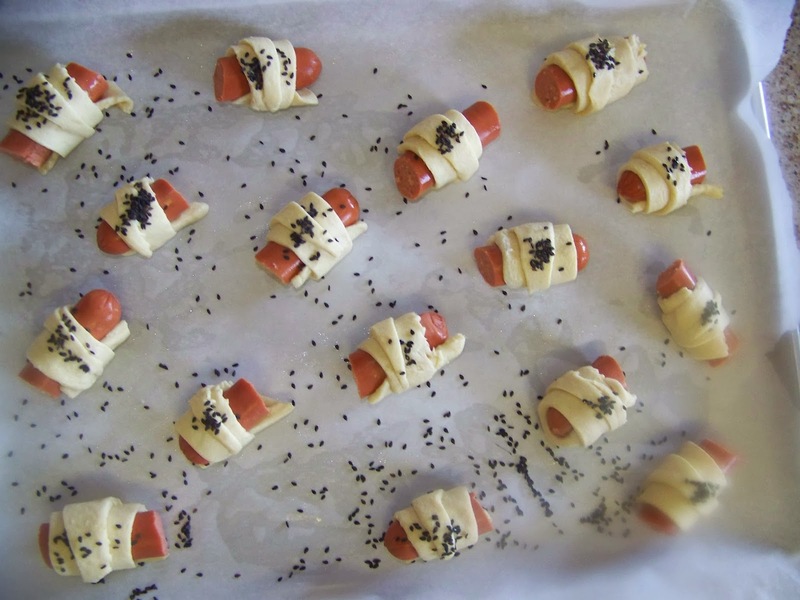 Roll with crescent dough from wide end to the tip. Sprinkle with sesame seeds if desired. Bake according to package temperature recommendation. Bake on a parchment lined baking sheet for 15-20 minutes or until gold brown. Mix dipping sauce and adjust to taste or serve simply with yellow mustard. Enjoy. These are so cute and fun! I made a dish with hot dogs this week too. It makes me think I am 10 again. 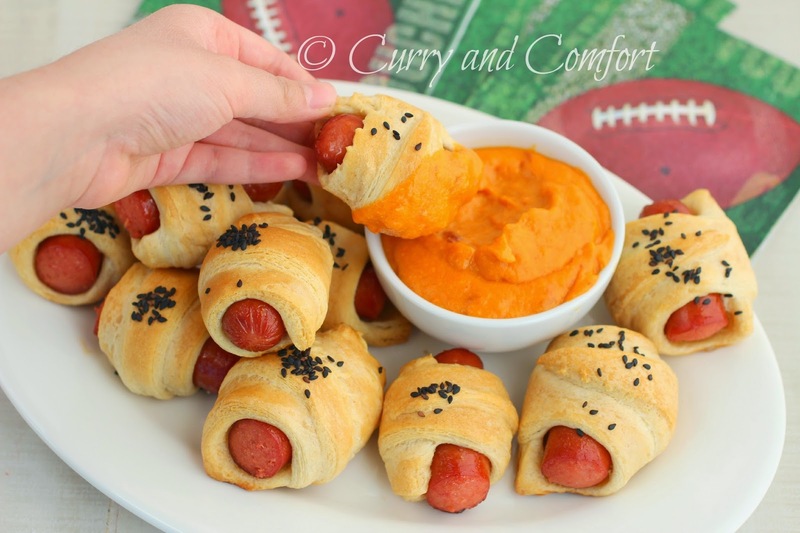 This one definitely scores a touchdown, look delicious! Just hand me a spoon for that sauce! Great dippers and snack! Cutie patooties for any day!